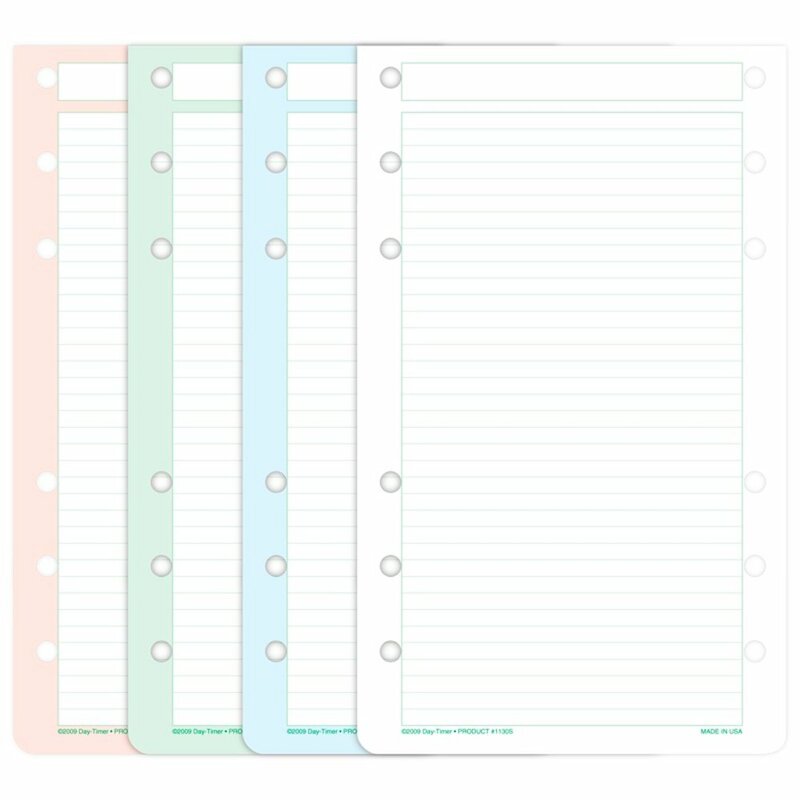 Insert these lined sheets next to your daily pages when you need more room. They're trimmed short at the top so they don't cover the date in your planner. Use them for overflow daily records, meeting notes, shopping lists - whatever you need. 7 pads of 24 sheets. Assorted colours.